Aisha Ibrahim a 55-year-old woman, has been arrested by the police in Niger State for allegedly killing her two-year-old grandchild at Karaya Fulani Camp in the Rafi Local Government Area of the state. 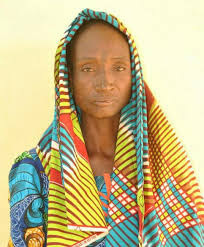 She was reported to have tied the girl with a rope and threw her inside the well in their compound just to get at the mother of the deceased, who is her daughter in-law. according to report from North City News the suspect and her daughter-in-law had been at loggerheads for some time before the incident.